Hummus has become ubiquitous in the U.S. in recent years. However, you have never tasted a hummus as good as this one. It has one special ingredient – cumin – that makes all the difference. Hummus is a superfood and very easy to make at home. 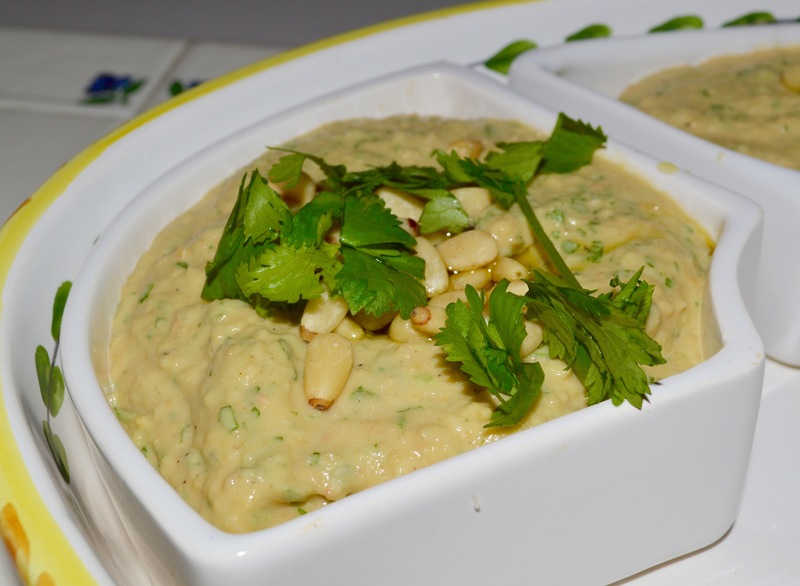 The four major ingredients are chickpeas (or garbanzos), tahini (sesame seed paste), garlic and lemon. Usually, parsley or cilantro is added and the finished product is often served with a dollup of olive oil and some pine nuts. Open the can of chickpeas and drain about 2/3 of the liquid. Retain some of the liquid. Add the chickpeas and all of the rest of the ingredients (except the pita chips, celery or baby carrots) to a food processor and blend on high until smooth. Transfer to a serving dish and garnish with a little olive oil and some pine nuts. I really like baby carrots as the dipping medium. Buy a bag of them and slice them in half lengthwise. They work perfectly and are clearly the most healthy option. I also prefer cilantro as the “green” component, but you should try parsley also. Keep any leftovers in the refrigerator in covered containers. Hummus will last up to two weeks, although this recipe is so good, you will find yourself nibbling on it constantly. 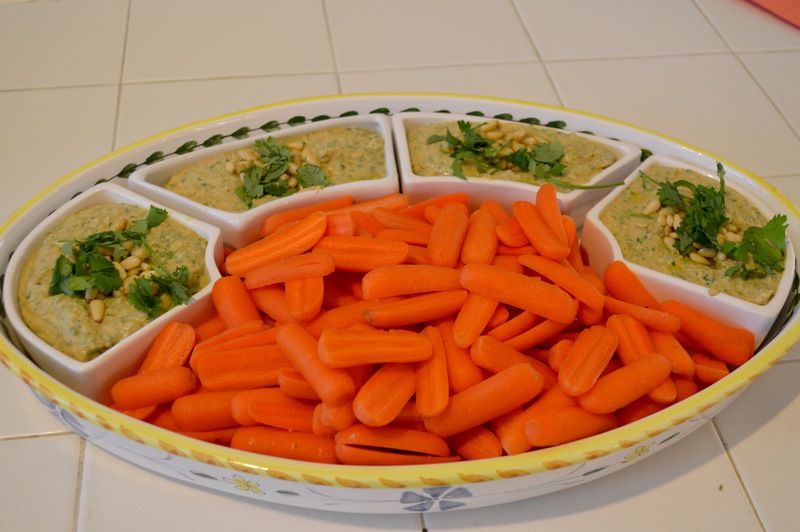 Avocado hummus is amazing & has a fun green color! Great with gluten-free rice crackers. Ps. Why am I reading about regular bowel function on my favorite food blog?! ?